This year's holiday shopping season is shaping up to be fertile ground for augmented reality to show its worth, as both Walmart and Target have crafted immersive experiences designed to engage shoppers in the coming weeks. But the marketing similarities end there, because the AR methods used by both companies vary greatly. 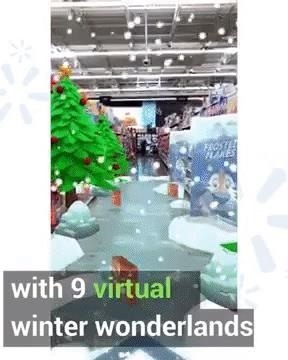 Walmart, with the help of augmented reality developer Zappar and marketing partner Advantage Solutions, has decked the retail halls of its brick and mortar stores with augmented reality fun and games via a Christmas Sleigh Ride promotion. "Augmented reality technology is transforming the way brick and mortar retailers market to, connect with and serve their customers," said Keith Curtin, vice president of business development at Zappar, in a statement. "Together with Advantage Solutions, we are excited to launch one of the largest AR executions in the retail space, with the largest number of brands involved at one time, supporting Walmart's ongoing strategy to drive traffic, enhance the in-store experience and boost customer engagement." 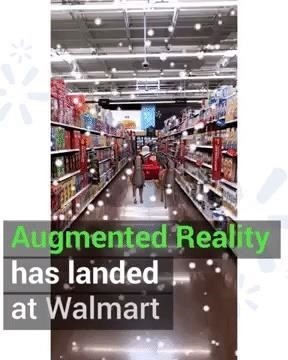 Throughout December, Walmart shoppers can download the Walmart AR app via the App Store or Google Play and scan Zapcodes to activate AR experiences sponsored by Clorox, Kellogg's, Pepsi, Nickelodeon, M&M's, Blue Bunny Ice Cream, and 3M. The activities include encounters with brand mascots like Tony the Tiger or Chester the Cheetah, mini-games, 3D animations, and face filters. Shoppers can also record these experiences to share on social media. 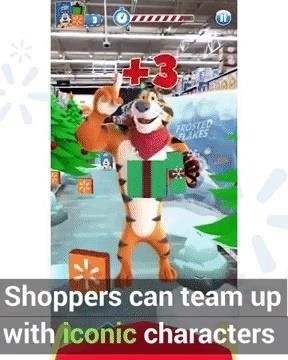 "This holiday season, in-store experiences will be a key differentiator for customers who choose to come into a store as a part of their shopping journey and this Sleigh Ride is a fun way to bring that to life," said Chris Brown, senior vice president of innovation at Advantage Solutions. 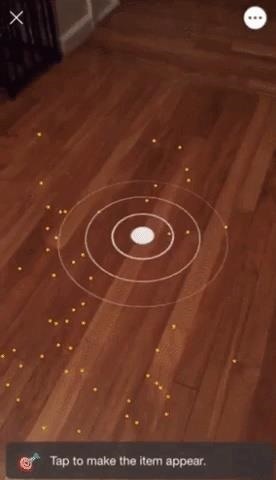 Not to be outdone, Target has introduced a new "see in your space" feature for its iOS app. 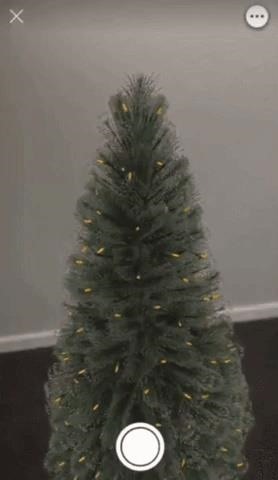 The app features over 2,000 products, as well as artificial Christmas trees and other holiday-themed decor, furniture, and home products that customers can view in augmented reality and then purchase in-app. 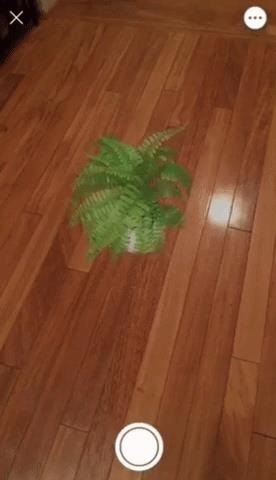 The experience is familiar to anyone who has used IKEA Place, Amazon AR View, Walmart subsidiary Jet.com, or any other of the multitude of apps that display products in the user's physical space via AR. 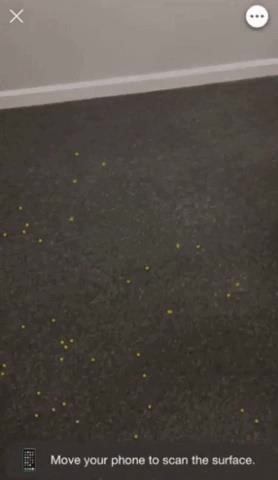 Using Target's app, a user can select a product with the AR cube icon, scan the floor or other flat surface, then press the target marker to anchor the 3D model. And while this may be a new side of the retailers for many shoppers, both brands have experimented with AR before. Earlier this year, Walmart hosted an AR promotion for Marvel blockbuster Black Panther, and the retailer also added an AR barcode scanner to its iOS app. Last year, Target launched a web-based AR experience for previewing furniture in the home. The company followed that up in May with a web-based virtual makeup mirror built on YouCam's platform. Also, both companies participated in the Star Wars Force Friday AR promotions. Upon reviewing their AR track records, each company has clearly adopted a different strategy with regard to how they use augmented reality to engage customers. Walmart prefers to use AR to draw customers into stores, while Target leans toward enhancing the online shopping experience (although Target, like Walmart, also boasts an in-store pickup option for online sales). Despite the difference in philosophy, augmented reality remains the common thread. "I believe augmented reality will only continue to gain traction and play an even more important role in retail," said Brown. "We live in an on-demand world and we have to bring innovation to meet that customer need."